Breast milk is known for having a number of remarkable qualities, including boosting immunity in infants. 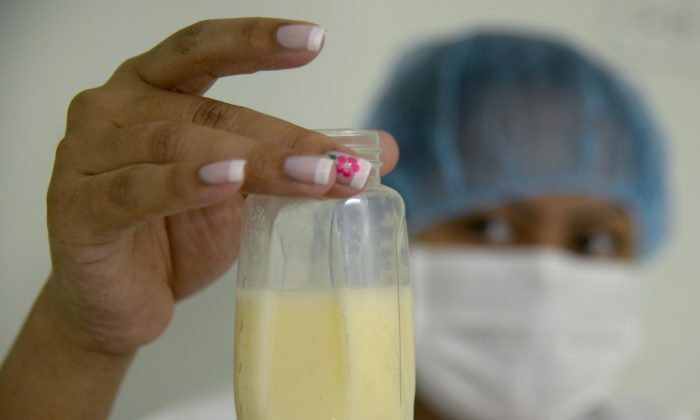 Scientists in the U.K. have now isolated a protein in breast milk that can be turned into an antimicrobial virus capable of fighting superbugs. Researchers at the British National Physical Laboratory (NPL) re-engineered the protein, lactoferrin, into an “artificial virus” that can target harmful bacteria. The lactoferrin molecules form capsules that can surround and kill the bacteria by drilling holes in their cell membranes. The overuse of antibiotics has bred bacteria that are resistant to many “last resort” pharmaceuticals, putting pressure on scientists to invent new antibiotics before an epidemic of impervious bacteria emerges. “Antimicrobial resistance is an increasing public health threat which requires a strong and coordinated response,” Jason Crain, research director at NPL, said in the statement. Researchers are also looking to re-tool lactoferrin for gene therapy. When encountering human cells, the lactoferrin capsule behaves like a virus, releasing DNA inside the cells. If that DNA is replaced with a therapeutic gene, it can be used to treat genetic diseases like sickle-cell disease, cystic fibrosis, or even blindness. An experimental technique, gene therapy works by targeting somatic cells with a lab-made virus that feeds functioning genes into them. The findings of the NPL have been published in in Chemical Science.